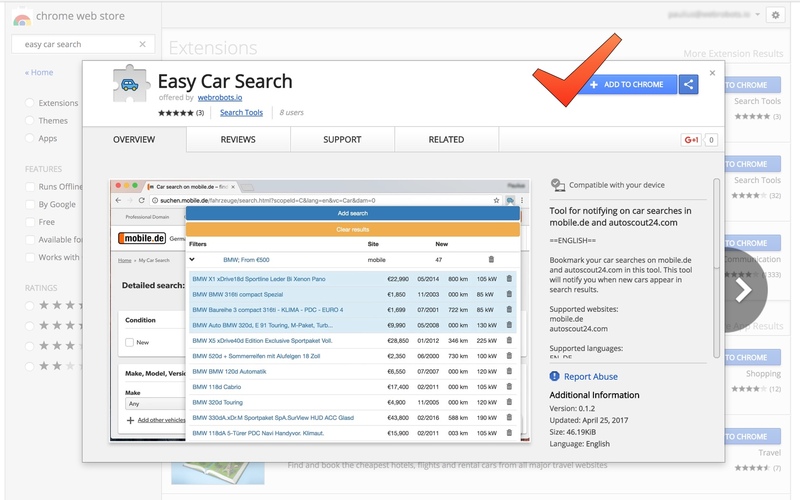 Easy Car Search – Be first to find used car ads! Simple tool to monitor used car searches and get alerts when new cars appear in them. Completely free. No registration required. 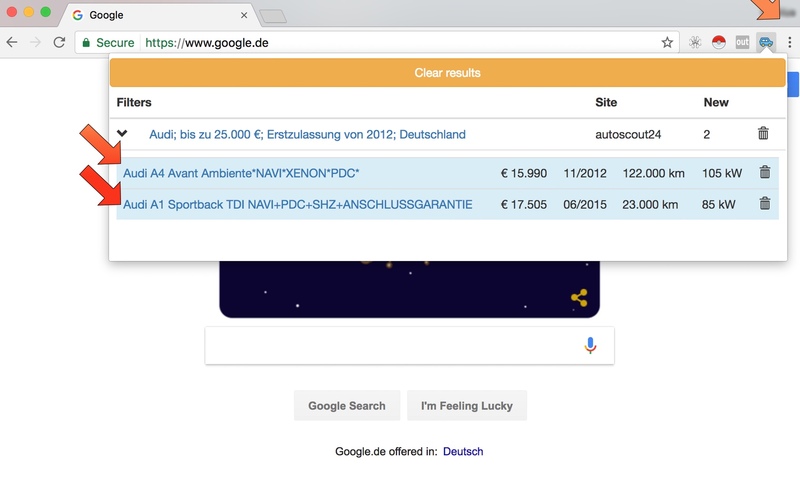 Tool works in your Chrome browser. 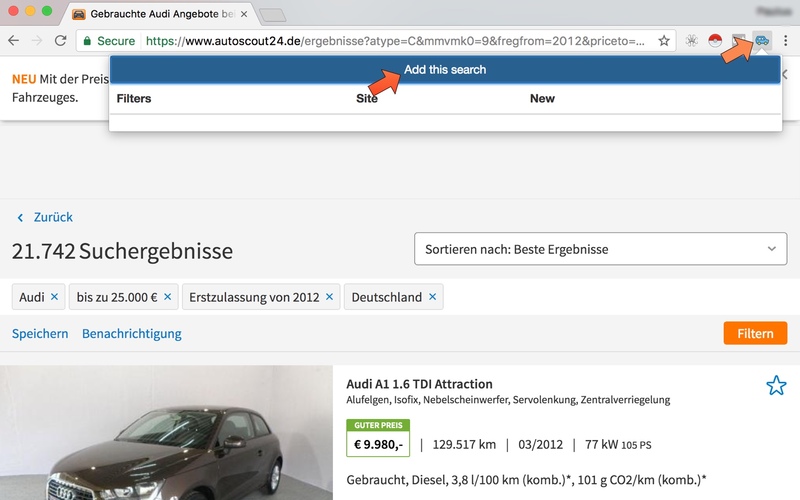 Easy Car Search ist ein einfach kostenloses FREEWARE Autosuchprogramm, das Ihre Suchanfragen auf den beliebtesten Autoportalen überwacht. 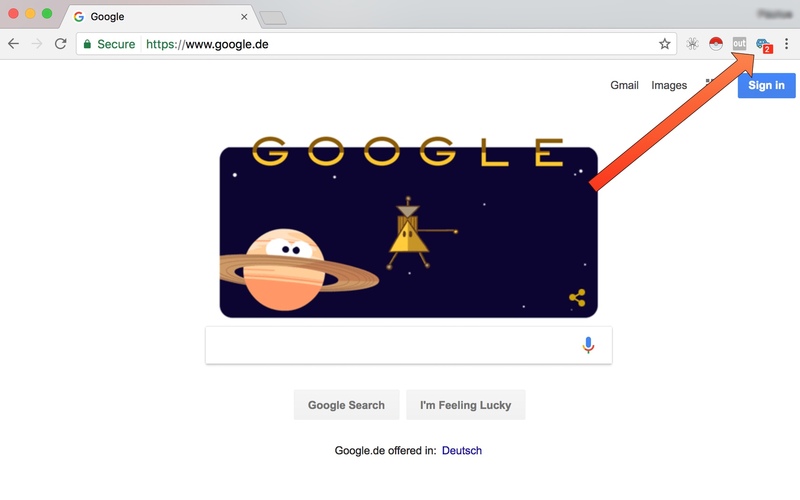 Es erfordert nur einen Chrome Browser und läuft auf Windows, OS X oder Linux. 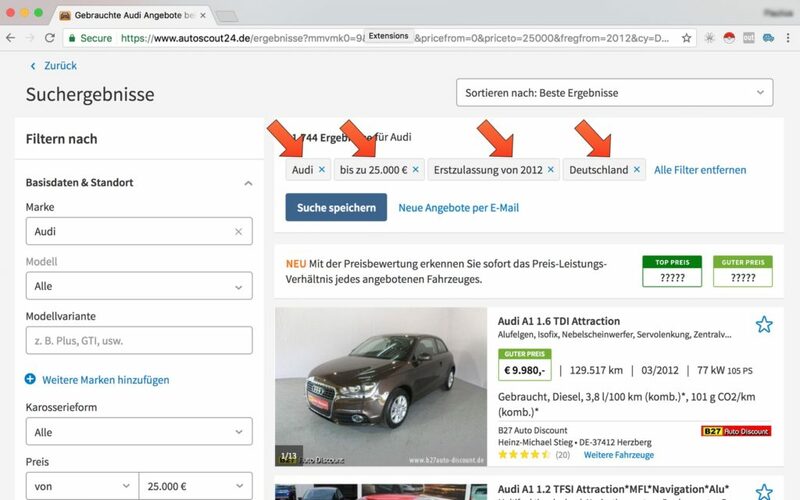 Easy Car Search durchsucht die Online-Gebrauchtwagen-Börsen mobile.de und autoscout24.de. Please reports to use us feature requests, feedback on usability, new sites to add and any other ideas.